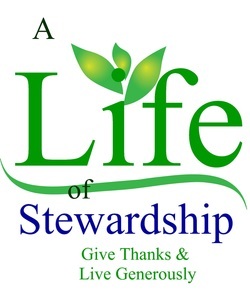 In Biblical times a steward was one who was entrusted with the management of his master’s property and affairs: thus stewardship was the responsibility or act of fulfilling this management. The steward did not own or possess his master’s resources; he managed them for his master and was paid in a manner of ways for his work, but he did not own the resources (property or whatever) of his master. While we today may not manage another’s property, we are responsible for managing our own affairs, to be good stewards of what we have. We further need to understand that we did not acquire our assets solely on our own: we likely had the help of others and the aid of our own gifts and talents--gifts and talents granted us by God, not earned through our own efforts. We use the talents, the “gifts” God has given us to earn our livelihoods, and thus we share our wealth with our creator. We as Christians are asked to return to God and to others some of the wealth entrusted us, to live beyond ourselves, to give not simply to use. But not only ought we give, we need to give, to care, so that we may move toward our God-given potential as His children. As someone once noted, “We work to have a living; we give to have a life."